Depression and Anxiety Disorders leave an alarming number of people in dark places in their mind. 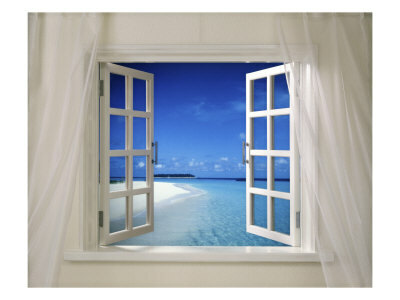 Working to overcome these debilitating conditions is akin to forcing open a window that is cemented shut. One is always looking for a light and to have that light shine brighter. That window must open one way, some way. People want to break open that window at any cost. For years I was one of those people working to force open that window. Starting in my childhood I fought with depression and generalized anxiety disorder, while trying to balance out obsessive compulsive disorder. I used to wake up in the middle of the night with terrifying panic attacks and feeling like a truck was driving over my chest. If you can think of a medication for these conditions, chances are I was on it at one point. Opening that window has set me free. I reached a point where I felt I had the strength to get through life’s obstacle course. Any energy I might have spent on feeling down has been re-directed to my professional and personal pursuits. I did not do it all alone though. I reached out for help and surrounded myself with supportive people. Too often many people still do not reach out. With Bell’s #Letstalk, hopefully more people will reach out. More resources are becoming available and people need to be encouraged to pursue paths to recovery. I hope that part of #Letstalk the over-prescribing of medication will be addressed. As necessary as medication is for treatment of symptoms, there are still far too many side effects from all of these meds. There is significant hope in knowing that researchers are constantly working to improve on treatments. My personal experience put me in a place where medication was just no longer an option. Tools I was given or discovered on my own, I ran with. Literally, I ran. Willpower and a positive attitude are great, but may not be enough to treat these conditions. Build that support network of family, friends and healthcare professionals. It may be great to try to do it on your own, but having help along the way will be beneficial. Getting to a point of freedom has been a great learning experience. I discovered more about myself and unlocked a greater potential for who I am and who I could be. I am in a constant state of gratitude for the live I have and the life I am living. Overcoming these disorders can and will take time and one will learn lots along the journey to recovery. It is a journey to better health, and a better life. Posted in Notes from the Frogpond.Tagged #letstalk, Anxiety Disorder, Anxiety Disorders, Bell, Depression, Lets Talk, medication, mental illness, obsessive compulsive disorder, positive attitude, window. I agree with everything you say and would like to also tout the benefits of Exposure Response Prevention (ERP) Therapy for the treatment of obsessive compulsive disorder. It’s a type of cognitive behavioral therapy and it literally saved my son’s life. Though I know meds can help some people, they did the opposite for my son. I’m becoming more worried about the long-term side effects of medication. I was listening to someone on the radio yesterday talking about how she was on Zanac and was dealing with all kinds of stuff. I was worried for her thinking she wasn’t really improving by the way she sounded.